Are you looking for a truly one-of-a-kind gift or a unique way to show off your business or personality? 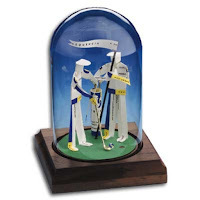 Well, you’ll be hard-pressed to find something better-tailored to someone’s livelihood or more interesting than one of our exclusive business card sculptures. We’re proud to spotlight this statement-making piece this month, along with some information about how our business card sculptures are made and who they’d be great for. 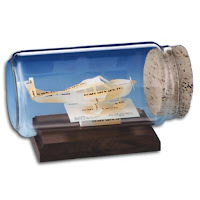 What is a Business Card Sculpture? 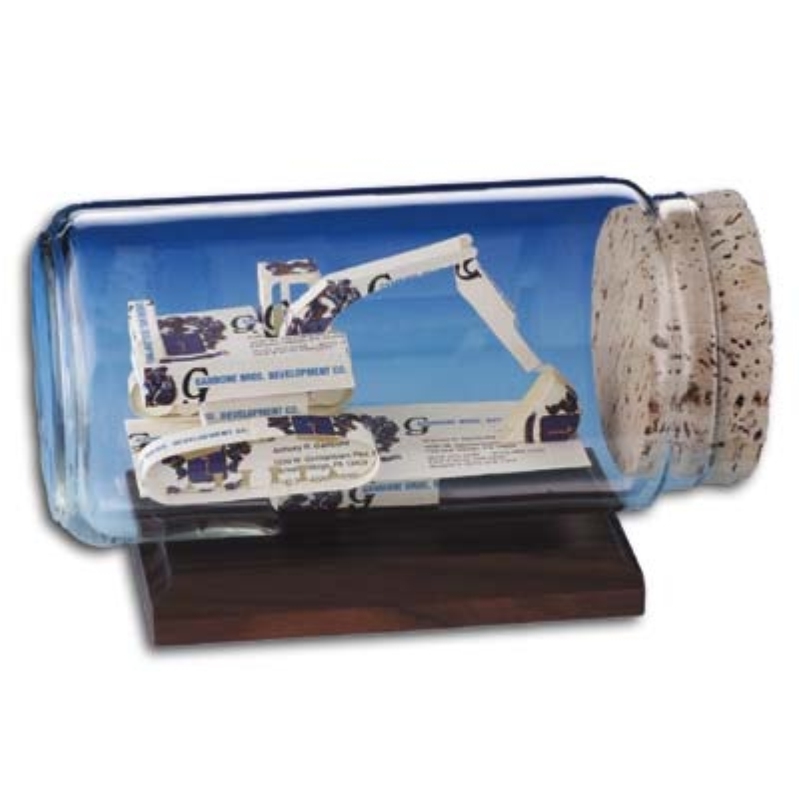 This unique offering is our favorite way to help you display your business cards in a style that will become an instant fixture on any office desk or study shelf. 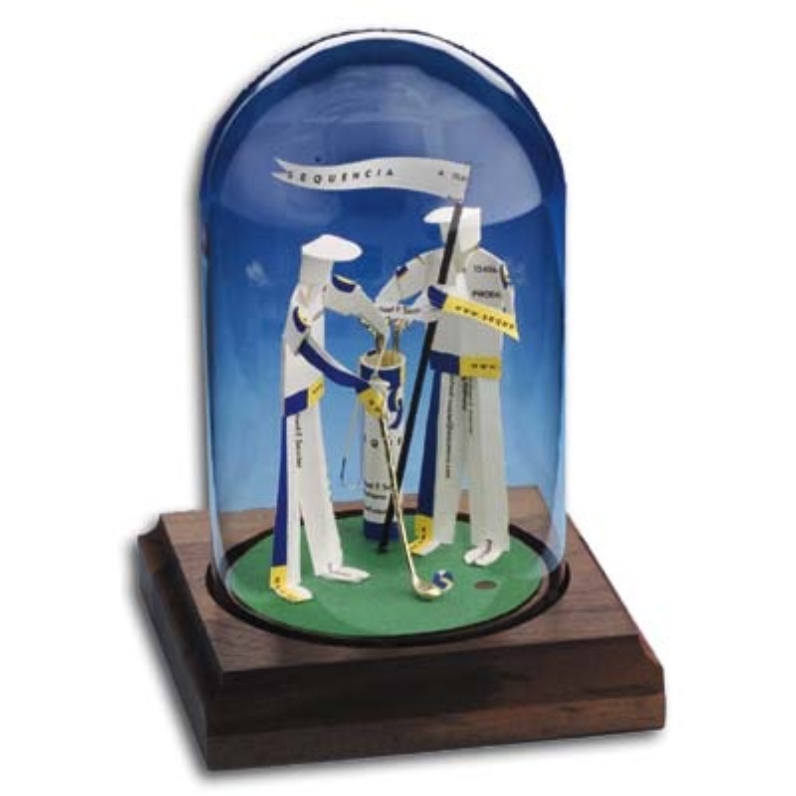 For each sculpture, we use 25 to 35 of your own business cards and fashion them into an array of shapes that reflect your profession or hobby: from teaching to sailing, from office workers to bus drivers. 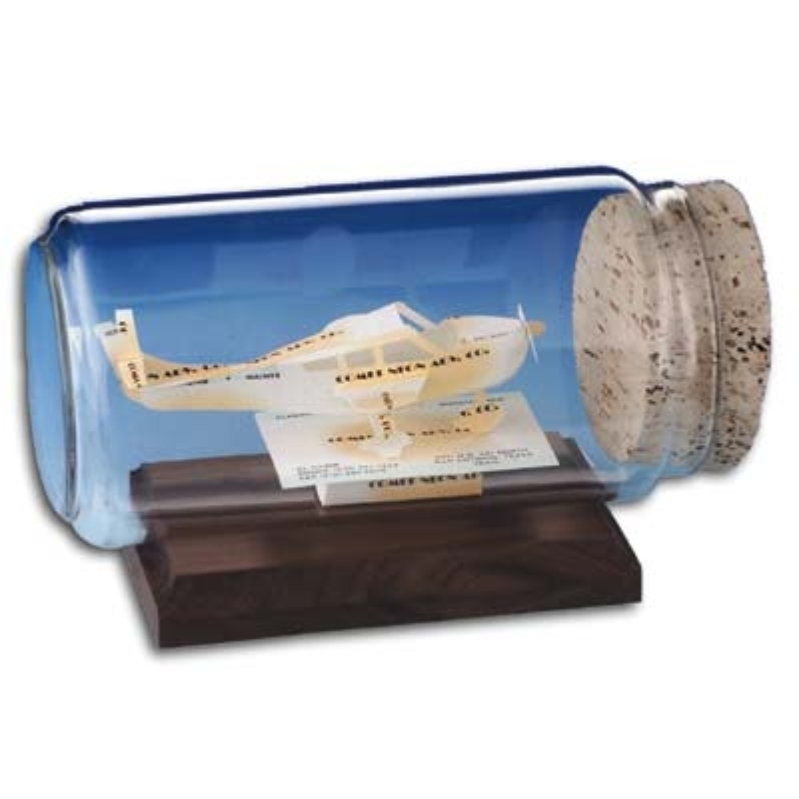 We invite you to browse our full line of options, featuring dozens of interests and lovingly sealed in a glass dome or nostalgic corked bottle. Because of the diverse range of options, these make excellent gifts for almost anyone on your list: doctors, car aficionados, web developers, golfers, sales representatives, realtors, outdoor enthusiasts, retirees, excellent employees, and more! Each sculpture comes finished on a smooth, beautiful walnut base, and you can choose to have an engraved name plate – black, with gold lettering – attached to the base at no extra charge. 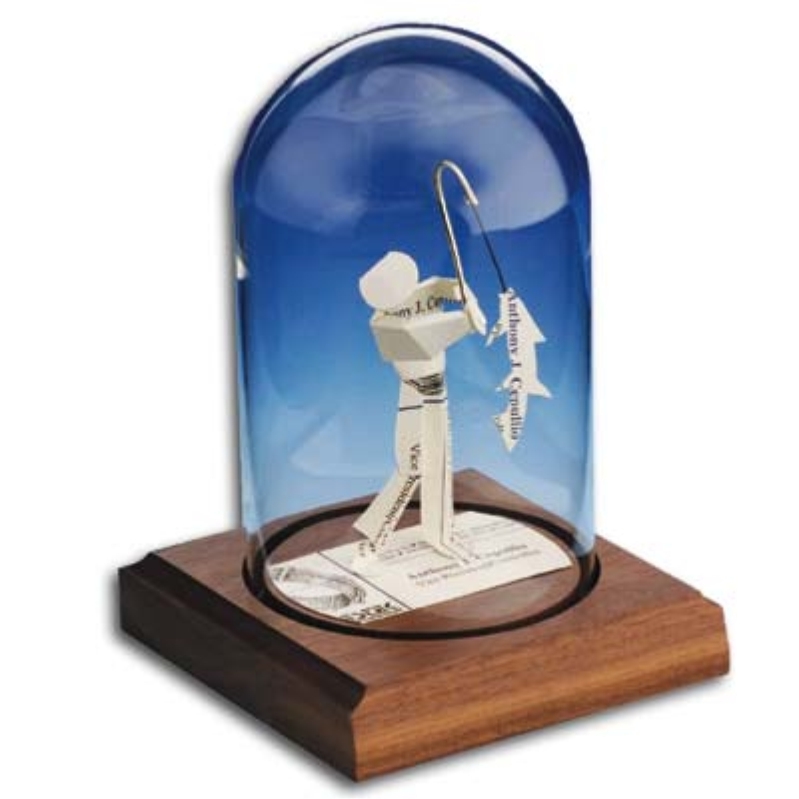 How are Business Card Sculptures Made? To make these works of art, we typically require 25 business cards (two models, the “Excavator” and the “Golf Cart,” require 35 cards) printed on normal card stock. Unfortunately, we will not be able to work with plastic, transluscent, or laminated cards because of the die-cut method we use for each sculpture. The finished piece will have small snippets of the cards used in construction, which means the color of your business cards will determine the color of the sculpture. If you have a few different business card designs to choose from, you may consider the color of the finished product as your determining factor. 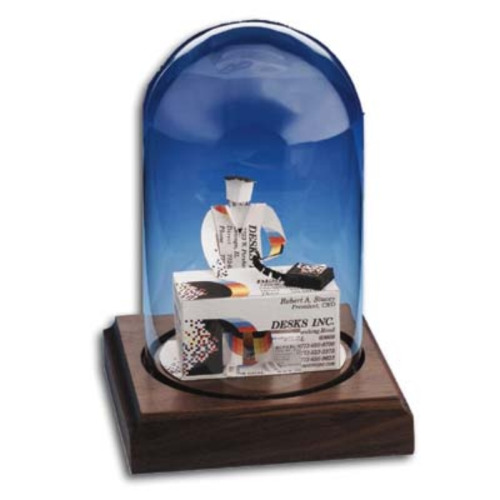 Most sculptures sit on a full business card under the glass, and a few sculptures have additional details or accessories provided, like phones, chalk boards, or even a bowling ball bag. 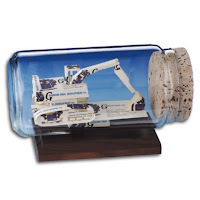 Click through to each variety to see how it is finished: either in a glass dome for vertical sculptures, or in a corked bottle for horizontal sculptures. Interested? Simply send us 25 business cards in a padded envelope to the address provided, enter your desired inscription along with your order, and wait three weeks for your work of art to arrive. We guarantee this will be a gift like no other this holiday season!